Boutique hotel in Zurich's coveted Seefeld district in downtown Zurich. Personal and comfortable like a B&B but with the elegance of a modern city hotel. Charming yet exclusive. Calm but central. Cultivated as it is cost-efficient. Our personalized service ensures an unforgettable night's rest, while our location in the heart of the city means you're near the finest of Zurich's attractions. Withing walking distance to Lake Zurich's promenade, Opera House, historic town, eateries and famous shopping mile "Bahnhofstrasse"
Our central accommodations in the Seefeld district place you in the vibrant heart of Zurich. Whether strolling the picturesque Seefeld district or discovering the sparkling waters of Lake Zurich, enjoying an evening at the nearby Opera or taking in the Zurich Film Festival, there's something for everyone here. 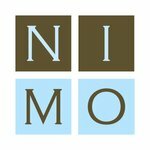 Stay at Hotel NI-MO and Save!